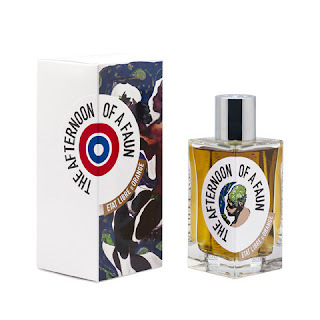 I have an unfortunate suspicion that if Afternoon of a Faun been launched (under another name, with other packaging) by a department-store brand, although it isn't nearly mainstream enough for that, it would have been ignored, or written off as merely weird: but because it was launched by niche brand Etat Libre d'Orange, it is going to be given more consideration, and perhaps held in higher regard, than it ought to be. Because make no mistake: it is weird, and not in a good way. It's not even weird for the sake of weirdness. It's just bad. Obviously nobody sets out to compose a bad scent. Sometimes they just turn out that way. Badness is to an extent subjective, of course. Last night on Netflix I watched "The Emperor's New Groove", a movie I must have seen at least a dozen times by now and one which does not grow old, a dazzlingly funny animated Disney flick which broke out of the Disney mold by having only one song and by being gloriously anarchic and meta: it works at an adult level at least as well as it does on a slapsticky kids' level. If you don't like David Spade or animation or comedies, I can get that you wouldn't like this, but that isn't enough to make it bad — just not to your taste. But some of the Netflix reviews were extraordinarily negative: I can't understand how anyone can call it a bad movie, and yet some people do. The perception of quality, the various rankings of good and bad, is affected by a host of intangibles and biases, and in the world of luxury goods, of which perfume is one, the most interesting is price. 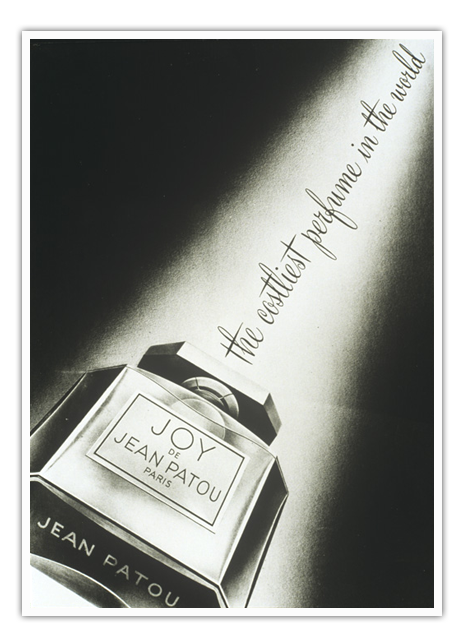 People, whether consciously or not (usually not), tend to think that, all other things being equal, the more something costs, the better it is, but for that to work you have to know that it's pricier, which is why even during the Depression, the tagline "The costliest perfume in the world" helped ensure the success of Patou's Joy. You can't even help this: it's exceedingly hard to overcome this tendency to affix expectations to objects. You think that expensive wine tastes better than cheap wine, and if you unknowingly drink cheap wine which has been transferred to an expensive bottle, you are very likely to give it a higher rating than expensive wine poured from a cheap bottle. And all of this is my roundabout way of saying that The Afternoon of a Faun ("Bergamot, pepper, cinnamon, incense, rose, immortal flower, orris, jasmine, myrrh of Namibia, moss, leather, benzoin") is, I am afraid, cheap wine in an expensive bottle: a spindly peppered floral, all angles and points, not in an interesting or appealing way but more like stepping on a jumble of Lego blocks (or, I guess, jamming them up your nose). Neither beautiful nor fascinating, the only two raisons d'etre for a perfume, it is instead meaningless and incomprehensible, which is to say that it is bad. I cheerfully concede that I could be wrong about this, that it isn't actually bad but just not my cup of tea. Entirely possible. I am not the arbiter of greatness. But it smells like badness to me.